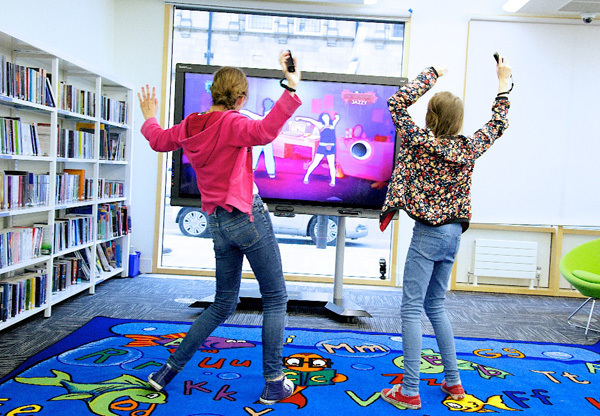 On National Libraries Day (February 6), Andy Wright, the Wellcome/Public Libraries Project Lead tells us about the role of public libraries in supporting health and well-being. I’m currently on the most amazing adventure of a secondment based at the Wellcome Trust, representing the Society of Chief Librarians (SCL). The purpose of this secondment is to scope out commonalities between the work of the Wellcome Trust (whose philosophy is “Good health makes life better”) and the work being undertaken by the Society of Chief Librarians. Image credit: Wakefield Public Libraries. The SCL’s five Universal Offers (Information, Digital, Reading, Health and Learning) cover the key areas of service that public library customers and stakeholders see as being integral to a high quality 21st century library service. By the end of my six months I’ll be ready to present a range of inspiring projects, all relating to health, well-being and libraries, which I hope the Wellcome Trust and the UKSCL will want to take forward together. My working life has been in public libraries but as a secondee in a primarily academic organisation I do believe that there is much we can learn from each other. Among many other things, I’ve learned about open access material, digitisation and the creative use of space in a library and museum setting. The renovated Reading Room, with displays and niches. 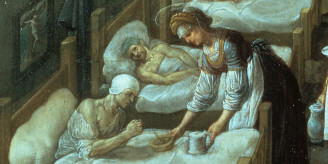 Image credit: Wellcome Images. I have had the opportunity to spend time in the Wellcome Library, and as a physical space, the Reading Room at Wellcome has certainly inspired me, and I was delighted to be able to show my family around last week; both my teenage daughters are studying history of medicine as part of their GCSE History syllabus, there was certainly plenty of material to interest them. My wife is a palliative care physiotherapist and was delighted to revisit some of her old anatomy textbooks and find amazing 3D images of our insides! I believe all libraries should provide a comfortable environment where learning can thrive; the Reading Room is a great example of how a physical space can inspire. 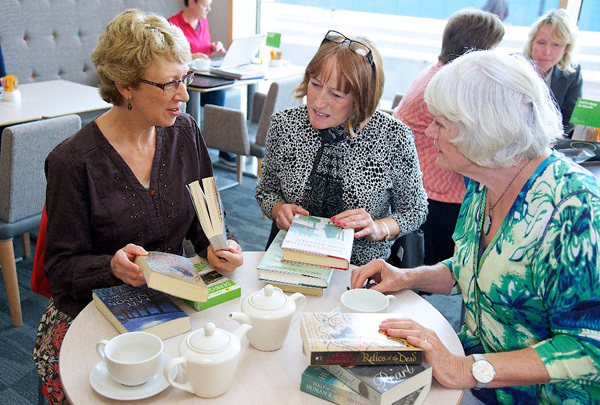 Working with the Alzheimer’s Society in Wakefield, we designed the first entirely dementia friendly library in the country, which is another example of both an inspiring space, and also how libraries can build partnerships with other organisations; another thing librarians are good at! For me, a library should open the door to knowledge and imagination for anyone and everyone. Philanthropists built public libraries across the country in the late 19th century as universities for the common man, giving access to literature and science that had previously only been available to the privileged few. This is just as relevant today; almost 20% of the population are not digitally literate or do not own a computer. UK public libraries have the People’s Network, free computers along with expert staff available to help you to get online. Libraries should be at the heart of the Government’s digital strategy, they have a vital role to play in delivering those services to the digitally excluded, and there are loads of examples of good practice happening all over the country. “Libraries change lives” is an oft used phrase – I believe that in tapping into the health and well-being agenda libraries can actually save lives. For example the Reading Well Books on Prescription scheme has enabled over a quarter of a million people to access quality assured self-help materials to combat mental health issues through libraries. Library services have the potential to save the health service many millions of pounds, by providing the right people with the right information at the right time – something else librarians are good at. National Libraries Day is a good a time as any to celebrate everything that is so great about this loved and highly valued service. Do yourself a favour this Saturday morning, and pop into your local library, see what it has to offer. 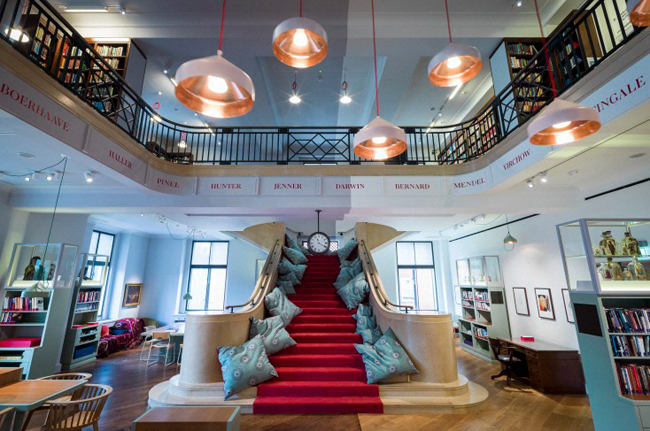 Author: Andy Wright is on a six month secondment as Wellcome/Public Libraries Project Lead. His “proper job” is Acting Development Manager: Libraries for Wakefield Council. Andy has blogged about his experience of working at the Wellcome Trust for the Libraries Taskforce blog. You can also follow his progress at Wellcome on twitter: @LibrariandyW. Looks more like an activity centre but what about traditional readers and researchers who value the peace and quiet which libraries offer as opposed to internet cafes and coffee chains? Councils should make use of meeting rooms and community centres where noise occurs. Noise was introduced with Baby Rhyme Time which has a strong focus on literature but whence these coffee parties and exercise close to printed matter-? We find food and beverage remains after the so-called “health libraries” events have ended. The Community healthcare staff tell us they do not clear rubbish or clean washrooms but they leave our premises in a mess. 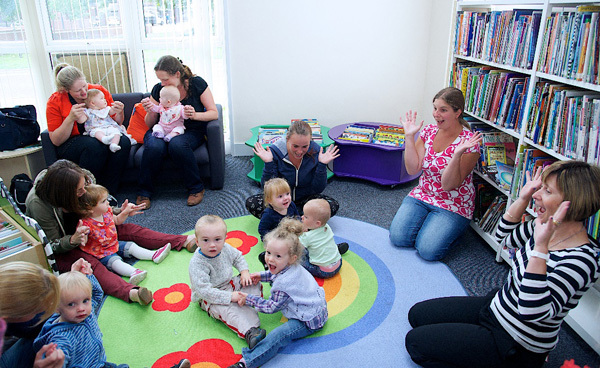 Swiss Cottage library in Camden is a Care Centre in all but name. We inform, we entertain but we do not educate anymore. Counter staff are operating as signposts and cleaners while Social Services treat the space as a hotel. They have brutalised the Librarians who were previously content with their jobs and educated, encouraging them to complain constantly about their lot and treat users with suspicion, discriminating arbitrarily. Soical Services have embittered the public sector by spreading unhealthy ideation and behaviours.